Check out this LARGE & ABOVE FLOOD~ 1878 sqft, 3 beds/ 2.5 baths, half-duplex including a sunroom! 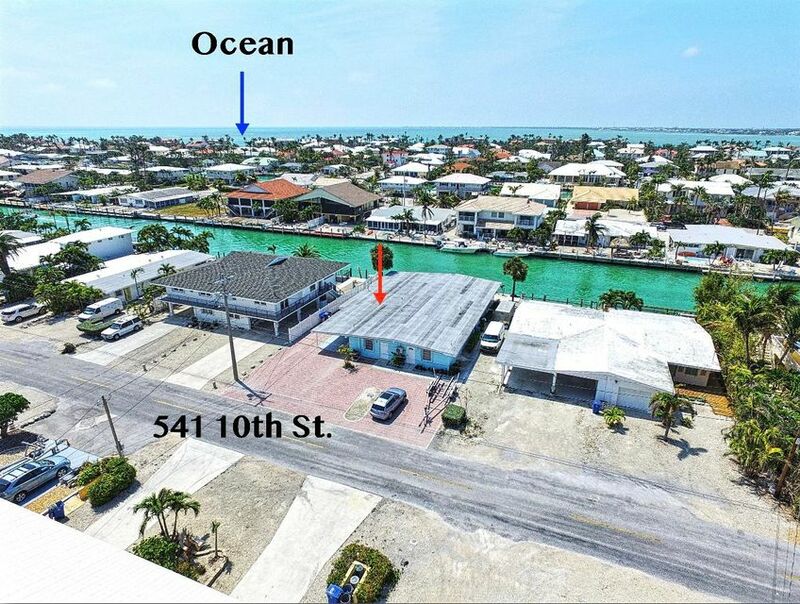 The property boasts a unique 45′ concrete seawall & has quick access to the Ocean/Gulf. Completely REMODELED after Irma, inside & out with NEW stainless steel APPLIANCES installed! Exterior re-painted and deck re-stained. Old cast iron plumbing in floors replaced with PVC saving you tons of money + peace of mind. Gorgeous FULL PAVER driveway as you pull up. This home would make a great vacation rental with large sqft. to rent to 9 People~ weekly rentals are allowed. Purchase a Cabana Club for Beach & Pool access. Ground level with easy accessibility and no steps to climb! Plenty of room to park trailers, cars and even add a hot tub! Screened-in porch and room to add a 3rd bathroom.